We are asked nearly every day by potential clients if we do Signature Bail Bonds. Signature Bail Bonds are bail bonds that are backed by the good word or signature of the Indemnitor (also known as co-signer) on the bond. No collateral is taken for security because it is presumed that the co-signer’s ability to stand behind the bond and cover any loss is without question. Signature bail bonds had their start back in the day when most people were gainfully employed and grew up and worked in the same community their family had lived in for years. Back then a hand shake on a business deal was all that was necessary. Everyone knew one another and people lived or died by their reputation alone. A lot has happened to the United States since those days. People are more transient in nature and it is rare to find a person’s roots tied to a single community for more than a few years, let alone generations. Unemployment rates are still high from recession and in 2012, 46,700,000 Americans were on food stamps. 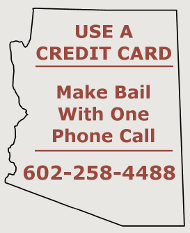 Phoenix Bail bond companies have observed, over the last seven years, that the clients with suitable collateral to secure a bond has diminished with the passing of every year. Our day is spent analyzing the value of collateral hoping and praying that we can put Phoenix bail bonds together for our clients without having to absorb all of the risk. Another company indicates that they can do signature bonds for some clients, but will charge a 40-50% non-refundable risk premium and/or place the defendant on a GPS ankle monitor. This company posts the bond in cash. 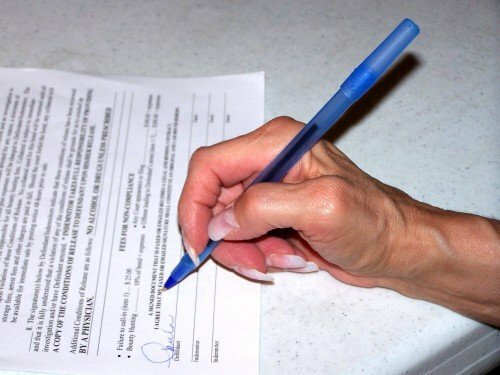 In any event, if you look over the above requirements, there appears to be little benefit in asking for a Signature Bail Bond. You are either going to have someone prying into your financial history or charging you an exorbitant fee to take on the added risk of a bail bond without collateral. Phoenix bail bondsmen that have taken little to no security on a bond are bound to be nervous about their investment. We have heard a number of stories about bail bonds getting revoked due to non-compliance with conditions of release, or failure of a client to make the agreed upon payments. Getting re-arrested for non-compliance and having your bond surrendered back to the Court means you just wasted all your money and time. If you plan on playing with fire, do some research on the company you’re working with. Our advice is to do a bail bond the right way, put up the required collateral and pay the nominal 10% fee. If you can’t afford a bond, don’t do it. Don’t fall into the trap of over-extending yourself. The consequences of not paying a bondsman or not complying with his conditions of release will land you back in jail. It’s not like failing to make a credit card payment, or missing rent for a couple of days; bail bond companies with high risk exposure will pull the plug on you.